One of the best-kept secrets of DC Comics’ lineup in recent years has been Injustice: Gods Among Us, a series that should’ve been a simple video game tie-in that transformed over the years into a remarkable examination of a broken and twisted Clark Kent. Which means it’s excellent news that DC is continuing the series for the newest game, Injustice 2. With the next entry in the DC fighting game on the way this May, DC Comics has announced a new digital prequel series, appropriately also titled Injustice 2, is on the way. The digital-first series will detail the events that take place in the run-up to the second game’s story, as former leader of the resistance Batman settles into a world where Superman’s tyrannical reign is at an end (for now) and tries to pick up the pieces that remain. 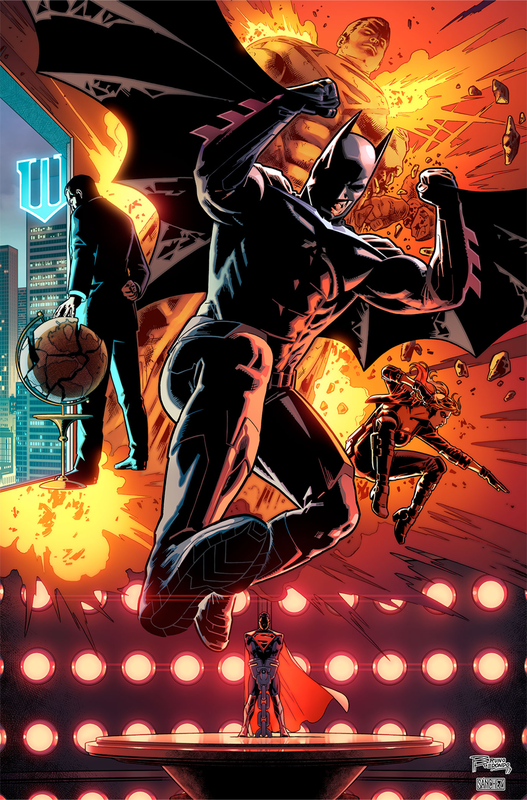 Tom Taylor, who wrote the first few years of the original Injustice prequel series, as Bruno Redondo, who provided art for the initial Injustice series, will both return to the comic—so it’s pretty much a direct continuation of all the work DC comics has done with Injustice, another prequel to the first game that lasted far beyond the release of the original video game. That’s a welcome reassurance to fans that, hopefully, this Injustice 2 series will spawn something just as fun and fascinating as the original comic surprisingly turned out to be. The Injustice 2 prequel comic will begin April 11th, with new chapters coming weekly before a twice-monthly physical collection of the comic launches alongside the game itself in May.